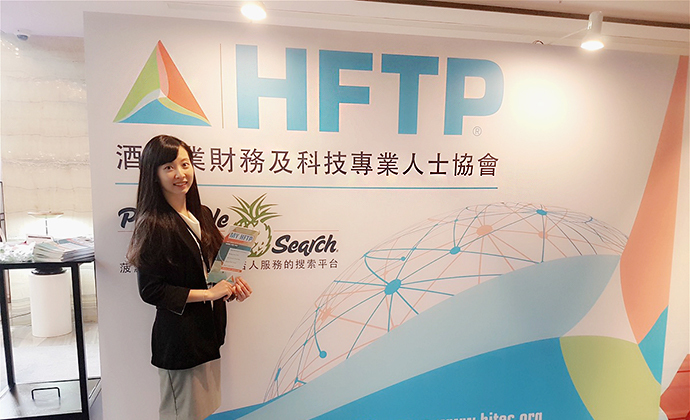 This is the second time I have attended a China Hospitality Technology Alliance (CHTA) event. 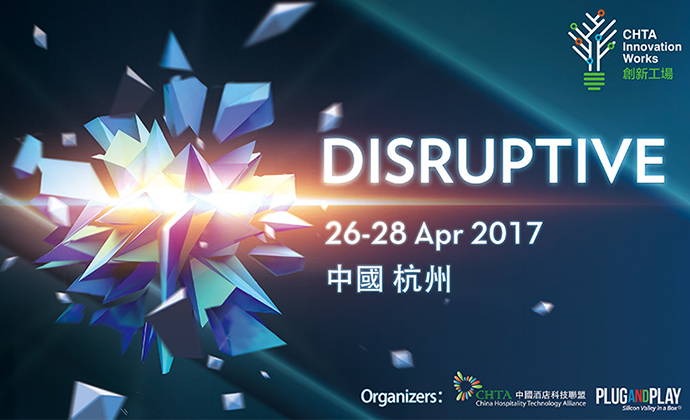 Last month, I attended the CHTA Disruptive 2017 Innovation and Technology Expo from April 26-28, 2017 located at the Marriott QianJiang, HangZhou in Hangzhou, China. Featured exhibitors, impressive talks and discussions on heated topics contributed to a successful exhibition in the beautiful city. First introduced by Clayton M. Christensen in 1995, “disruptive innovation” – the event’s concept – is an innovation that provides different values and significantly affects the existing market. This might be the reason why the organizer chose this theme. The event invited more than 1,000 guests, and featured more than 70 local and international enterprises that showcased their technology products and solutions, including: property management systems, cloud service, in-room technology, guest engagement technology and more. The exhibition was open to the public along with the simultaneous CHTAtalks. Industry-leading applications and solutions were introduced including: Cloud PMS, 360-degree VR display, WeChat in-room control and facial recognition check-in/check-out technology. Suppliers also invited attendees to use their products onsite. The published CHTA Future List features more than 200 innovation companies, which is a remarkable breakthrough in terms of enhancing the guest experience, reducing operating cost and increasing revenue. 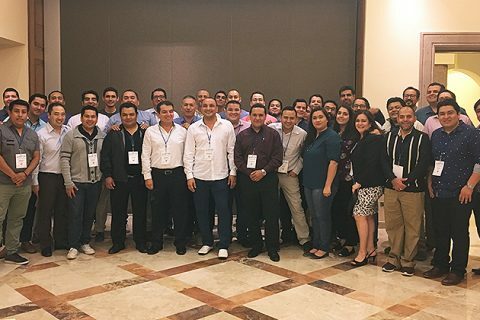 In addition, similar to HFTP’s Entrepreneur 20X competition, a few entrepreneurs had the opportunity to stand on stage and present their products/services in five-minute pitch session intervals. 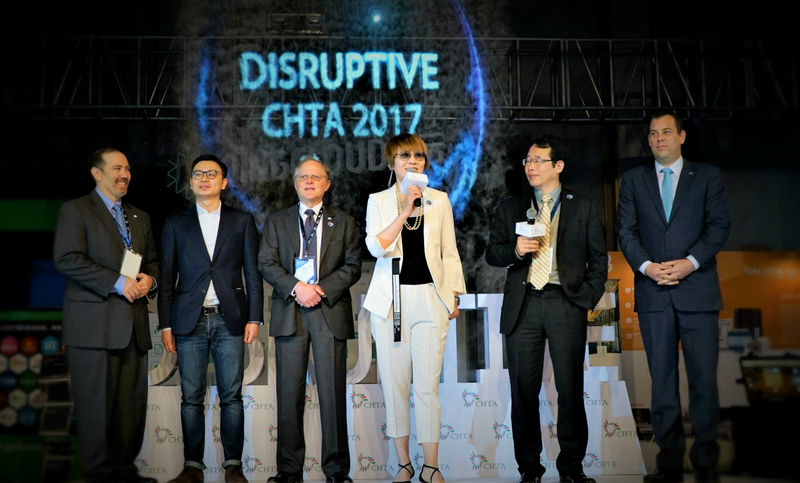 The majority of the participating startup companies at CHTA used their five-minute slot to attract the audience via extraordinary functions or services rather than through technical analysis. Overall, the exhibition provided a convenient platform for hoteliers to approach suppliers and vendors from various industries and countries. 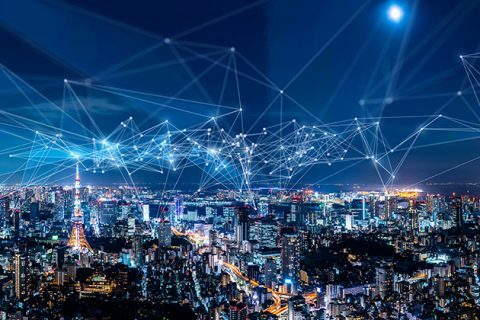 During the CHTAtalks, industry leaders discussed IoT trends, information security, business value of smart hospitality and cross-boundary cooperation. Industry executives also analyzed the current environment and new regulatory influence in China. During the conference, CHTA published and presented a study on how China’s cyber-security law will affect the hoteliers in the market. To avoid packing a large audience into the same hall, a live broadcast screen was available in the third-floor ballroom. Also, for those who were unable to attend, a webcast via WeChat was running, and included an interactive feature where one could ask speakers questions. New ideas were introduced. For example, a future hotel plan was proposed by Mr. Cai, vice president at Alitrip. 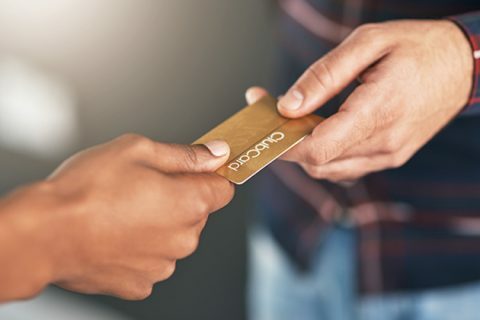 The concept comes from online shopping, and allows customers to enjoy their hotel stay first without a deposit, and then pay online afterward based on their individual credit system. 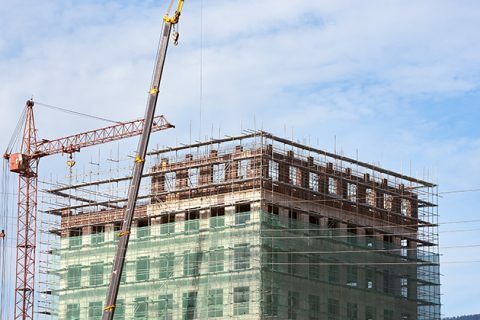 Faced with a rapidly changing market and technology advances, hoteliers have to keep pace with the industry and be more open-minded moving forward. Recently, many entrepreneurs have taken advantage of the business opportunities within the hospitality industry, and have created some featured products. However, a variety of products and services are dazzling and make it really hard for the hoteliers to choose. Bower, J. L., and C. M. Christensen. “Disruptive Technologies: Catching the Wave.” Harvard Business Review 73, no. 1 (January–February 1995): 43–53.